Debt collectors are an expected result of not paying creditors, and they will use many methods to contact a client and demand money. Debt collectors only have so many rights, and how far they push these rights will usually be down to the limited knowledge of the debtor. It is very important to know the rules regarding debt collectors and your rights in order to know just how far a debt collector can go before you can claim harassment. In simple terms, it is illegal for a debt collector to use many of the practices they employ. Collectors are well known for phoning debtors continually during the day and in the evening, either at home or at work. They will no doubt make threats towards the debtor and use claims of taking the debtor to court. The Office of Fair Trading has a list of rules set down regarding debt collectors and your rights and what is regarded as harassment and unfair practice. Although it seems strange to say, debt collectors have limited powers when it comes to collecting debts. They will usually be brought in when your creditor has tried and failed to contact you regarding money owed. If you are not used to debt collectors they may seem a scary prospect but in reality they have very limited powers with regards to obtaining money. The debt collector’s biggest asset will be the ignorance of the debtor over just how far the debt collector can go to collect money. When a debt collector contacts you it will usually be by letter in the first instance. If no replies are made to the letters then they will begin phoning. You should answer the letters or calls, as at this stage they will usually offer a payment plan. This plan should be reliant on realistic payments that you can actually afford. Contact you late at night. Contact your workplace if you do not wish them to. Visit your home without your permission. Refuse to speak to a third party that you have nominated. Use threatening or misleading language. Repossess your goods or arrest your wages. Reveal to anyone your debts. The law is on your side when it comes to harassment from debt collectors. There is a very simple way to stop constant phone calls from collectors. Write a letter to the company telling them to cease and desist from calling, they can then no longer contact you unless it is to inform you that they are no longer collecting from you or that another solution is being considered. Another common debt collector trick will be to inform you that a collector will calling to your home to discuss your debt. Many people will simply say yes thinking they have no choice in the matter. By saying yes you have given permission to the collector to call. If you do not wish a collector to call simply say no. If you have already said yes and then thought better of it, simply phone or email to say that you have changed your mind. 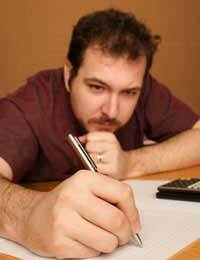 There are some reputable debt collectors out there who will try and help with your problem. Many will accept a very low payment plan that is based on your income and other debts you may have. These collectors will not be interested in repeatedly calling or harassing you and it is in your best interests to talk to them. No matter what type of debt collector you talk to, do not give an unrealistic repayment figure that you will have difficulty in sticking to, this will only lead to further problems. If you find that you cannot handle debt collectors yourself then there are companies that can help. Your local Citizens Advice Bureau, the Office of Fair Trading, and the Consumer Credit Counselling Service will all be able to give advice and information. Debt collectors who employ unfair practices cause misery and worry for thousands of people across the UK. Remember, debt collectors are used before any court action has been applied for and do not have the same powers as bailiffs. They may threaten you with court action but it has not actually come to that stage yet. The rules set down regarding debt collectors and your rights are there for your protection, and you should be fully aware of their powers and your rights against harassment. I have debt collectors sending letters to my house all the time. They are not letters for me I have no debt, they're for the last people that lived there. Can they ever enter my proprty when I'm not there under the asumption that this other person is living there? Would they ever take my things?